Protein powders can be flavored thousands of ways, however, they can only be sweetened by a handful of ingredients. When I first started to formulate protein powders back in 1998, the first sweetener I used was aspartame. Then shortly after that sucralose, otherwise known as Splenda, and the natural sweetener called stevia. I gave people the option of using acesulfame potassium and even one of the most powerful sweeteners in the world called Neotame. As the years went by, and we stopped customization, I chose to only to sweeten my protein powders with stevia. I realized that artificial sweeteners could cause major health problems, including possibly cancer. When I found out that sucralose was actually first used as an insecticide, it was time to ban artificial sweeteners from my protein line up. I thought using stevia was perfectly, fine because well, it came from a plant. But recently something has changed my mind about this presumably “safe” sweetener”. It all began about 8 years ago, when I wanted to improve the quality of whey protein. Soy is a horrible ingredient and food product and I wanted to figure out an alternative to soy lecithin. 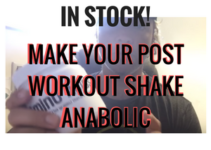 But before I did this I wanted to prove that the world’s number one selling protein powder, which is Optimum Nutrition Gold Standard whey, did indeed contain estrogen compounds. I performed lab tests and proved it indeed contained them. Therefore I went ahead and became the first company to remove the soy lecithin from protein powders and use egg lecithin in its place. Soy lecithin has estrogenic like mimickers and I knew this was something I did not want to consume, nor let my customers consume. I began to market to my customers that this hidden ingredient was in mostly all protein powders. 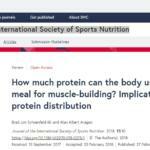 It was a moment that changed the protein industry. On a side note, if you are still a consumer of soy products, I suggest you read this book. After reading it you will no longer be consuming soy products. Since then, protein manufacturers all over the world, instantize their whey protein concentrates, isolates, milk isolates, and caseins with sunflower lecithin. Some manufacturers still use soy lecithin, and some people still consume whey protein with soy lecithin. As a matter of fact, the number one selling protein powder in the world STILL contains soy lecithin. Not only does it contain soy lecithin but it contains artificial sweeteners. Artificial sweeteners are horrible for people looking to lose body fat and increase muscle mass. I do not recommend artificial sweeteners, especially sucralose. Back in the day, when ignorance ruled my mindset, I did consume it. But now I do not consume, nor recommend sucralose. I have seen enough evidence that sucralose can be hazardous to your health. In addition to the numerous side effects it can cause, the worst I feel is this. When heated, sucralose can be carcinogenic. It converts to dioxin which is a cancer causing, endocrine disrupting waste product. Many people cook with whey protein that contains sucralose. This is very bad to do. If you want to cook with whey protein make sure it does not have sucralose in it. Avoid endocrine distrupters, like heated sucralose, will surely help you with your health and lean muscle gains. Over the years most of my protein powders were void of artificial sweeteners and soy lecithin. The flavored protein powders that we did sell contained stevia. A sweetener like stevia is required to make chocolate flavored protein powders. Have you ever tasted pure cocoa? If you did you will know that it is very bitter. It is not until you add the sweetener does it taste like the “chocolate” we know. Chocolate candy, like Hersey’s Kisses for example, taste so good because they use cocoa and sugar. Sugar of course, is the best tasting sweetener on the planet and creates the delicious chocolate that we know of. Unfortunately, it takes a lot of sugar to sweeten cocoa to create the chocolate that everyone loves to eat. Needless to say, chocolate, when it contains sugar is not healthy for you. Therefore if you tried to make a chocolate flavored whey protein, you would have to add a lot of sugar. At least 30% sugar is needed to make a whey protein powder taste like a chocolate drink. Even if fructose is used, you would still need about 20%. That would mean for every 30 gram serving size, you would have about 10 grams of sugar. So instead, in order to keep the carbohydrates low, stevia is used. Typically in my formulas, we would use about 1,000 mg of stevia per pound of whey protein powder. But lately I have been rethinking about the use of stevia in my protein powders. This began when I started to avoid all chemical products in my daily routine. About 1 year ago I wrote an article titled, “How I gain 15 lbs in 2 months“. In that article, I wrote how I eliminated all chemical products that came into contact with my body. Products, like soap, shampoo, toothpaste, deodorant, and cologne. Many of these products I was using on a DAILY basis contained chemicals and endocrine disrupters. Many contained chemicals that were estrogen promoters as well. By eliminating all of these product that contained chemicals and not using them on my body anymore, the results were remarkable. I was able to literally put on 15 lbs in 60 days. It was incredible. I was literally shocked of how my body detoxified itself and how I gain massive amounts of muscle. All at the at of 43. Think about, you wake up, take a shower and apply chemicals to your body hidden in the soap and shampoo. Those liquid body washes, they are loaded with chemixals. Not only could these chemicals be estrogen boosters, but they could be carcinogenic. Then after applying these chemicals to your body, you shave. More chemicals. Then you brush your teeth, more chemicals. Not only that but common toothpaste kills the good bacteria in your mouth, which disrupt beneficial nitrates from being absorbed. After that …yes more chemicals…deodorant! And this chemical product delivers a steady drip right through the skin all day long. Finally, and it is not even 9 AM, you spray on cologne, which REALLY contains a serious amount of estrogenic promoters. DANG!! Do you see what you’re subjecting your body too? Trust me when I tell you this. You want to gain muscle, and have less body fat, eliminate chemicals from your daily routine. And if you’re a women reading this, this goes DOUBLE for you. I’m a firm believer that these chemicals, play a direct role in contributing to breast cancer. After, I removed the soy lecithin from my protein powders and got rid of the daily dose of chemicals in my life, it was time to turn my eyes to stevia. Years ago my friend Dr. Colker, told me that he does not use stevia. Briefly told me stevia could raise estrogen in your body and/or decrease testosterone levels. At the time, I brushed it off, but what he said was always in the back of mind. After doing research I have found plenty of evidence is going to make me state officially, that I do not recommend stevia. Here is the research that I have found. Here is a podcast with Dr. Colker talking about stevia. (fast forward to the end ). Here is the research relating stevia to estrogen. 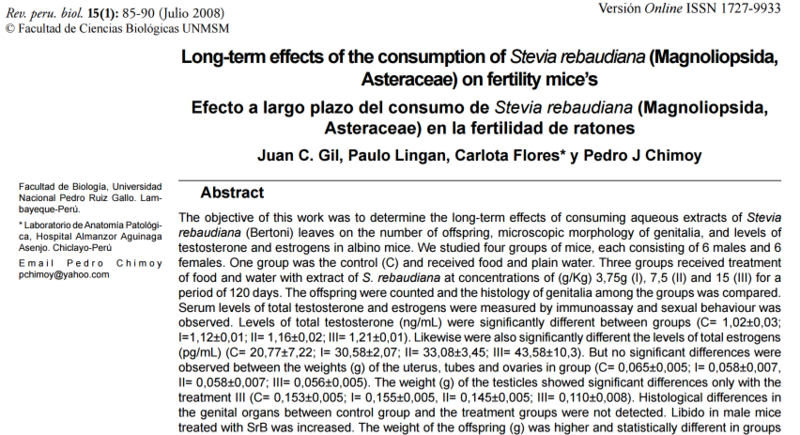 In this study, rats testicles shrunk and it was concluded that stevia extract can be used to reduce the prostate. In addition, stevia could help increase cortisol in the body. I found an excellent article here. The problem with this point is that stevia, being a “sweet” taste to the body, tricks the body into believing there will be glucose (the body’s preferred fuel) so the body clears the way for this glucose by lowering blood sugar in the body clearing the way for glucose to be released. 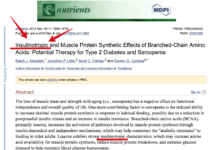 When it isn’t released, and it won’t be because stevia doesn’t contain glucose, adrenaline and cortisol surge to mobilize or worse (for those on low to no carb diets) create sugar from tissues like liver, muscle tissue, other body tissues, glands like the thymus, or proteins geared to create muscle tissue. This process is called glucogenesis and will be discussed in our coming post The Case for Sugar. Next, the fact that the body prepares itself for glucose and none “shows up” it thrusts itself into a state of hypoglycemia. Also not a good thing. 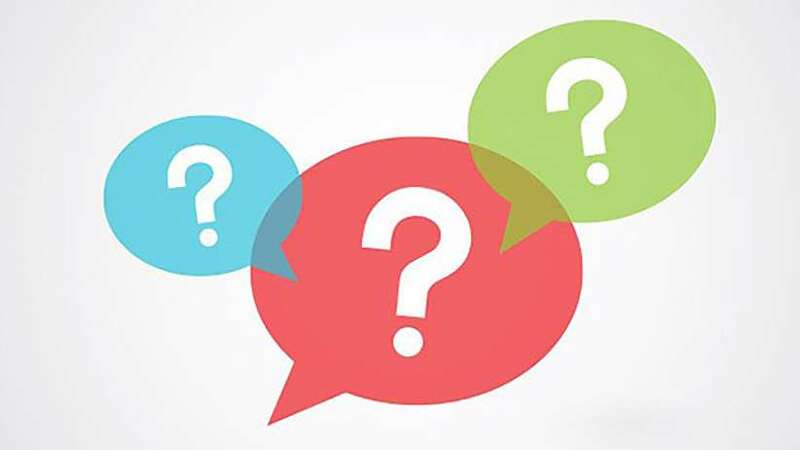 Adrenaline and cortisol released for the purposes of mobilizing promised glucose that never shows up (as in the case of stevia induced hypoglycemia) is damaging overall to the adrenal glands leading to one factor in adrenal fatigue. If the adrenals are out of balance it is only a matter of time for the thyroid and hormones to fall out of balance. Read more on OAT Axis Imbalance Here , Here, and Here. Too much cortisol in the body contributes to abdominal weight gain which increases your risk of cardiovascular disease, stroke, diabetes, and obesity. As you may know, I always tell my customers to avoid caffeine and pre workout supplements that contain caffeine. The reason is because caffeine increases cortisol in the body. As a bodybuilder or someone that wants to increase muscle mass and decrease bodyfat the LAST thing you want to do is increase a powerful hormone like cortisol to decrease muscle mass and increase body fat. 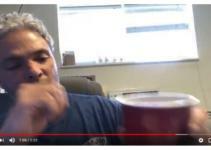 Granted the proponents for stevia will say, “Alex, there is no solid research on humans consuming stevia and how it effects testosterone levels!”. Yes you’re are correct, but the research on animals is all I need to convince me NOT to use stevia. In addition, I’m not a baby when it comes to taste. I dont need things to take like a milk shake in order for me to consume it. I eat to live, not live to eat. Finally if you are a junk food eater, and consume candy and artificial sweeteners all day long you will crave sweetness if your foods. Once you learn not to eat sweeteners, you’ll be shocked on just how easy it is to consume protein powders without a sweetener. In conclusion, I will be gradually eliminating stevia from my protein powders that I sell. I recommend getting your protein powders plain and avoiding artificial sweeteners and products like Truvia. I highly recommending taking my advice about the chemical cosmeceuticals that you use every day and apply to your body. Building muscle and reducing body fat is lifting weights, eating a high protein diet, avoiding catabolism, avoiding foods and consumables that can increase estrogen in the body, and eliminating estrogen agents that come in contact with your body. The better you do this, the more muscle and less fat you’ll have on your frame, and you’ll be a lot healthier and anti-cancer as well. Trust me, from first-hand experience I can tell you that you’ll see new gains from following these guidelines. Whey Protein For Virgins, Oh No You Didn’t? Yes We Did! 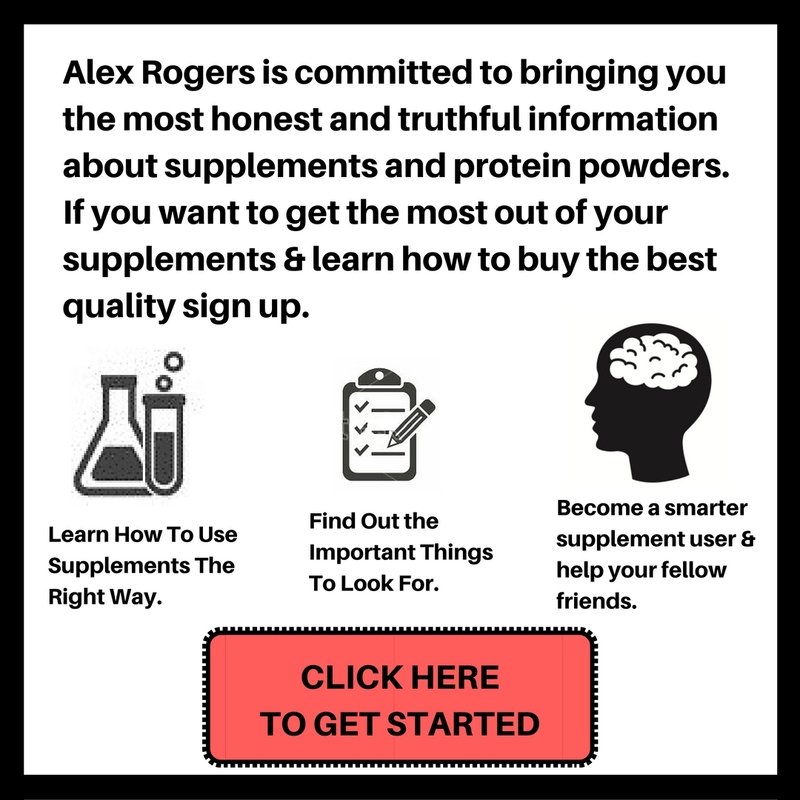 What Supplements Should I Take? Free Supplement Consultation!